Oh my gosh you guys I am SO sick of feeling crappy and I know that it’s my own fault. 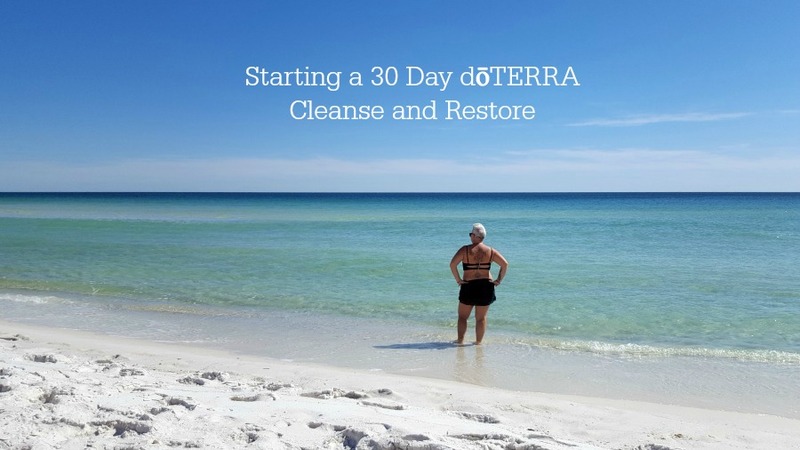 I am starting a 30 day dōTERRA Cleanse to reboot! I feel sluggish and bloated because frankly I have been paying NO attention to the foods I am eating. I’ve been going willy nilly here and there with my head in the clouds and a very rushed sandwich in my hand. This madness is coming to a stop. I am in my 40s and have cleansed before so it’s not new to me but it is still a bit intimidating. I know that the only way to have success with any kind of healthy eating in my life is to pre-plan and prep foods. 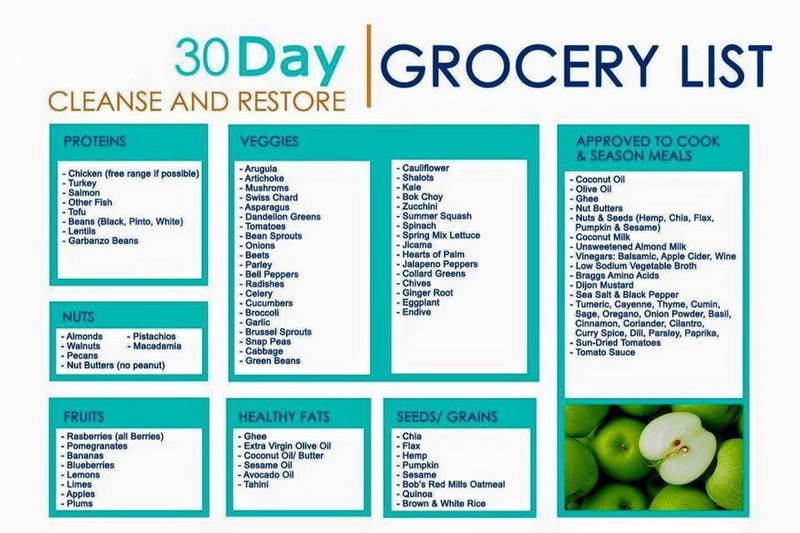 I am keeping it real and only planning 3 days ahead because if I shop for more, chances are I’ll have produce going bad in my fridge. So I’ve gone and gotten 3 days worth of groceries and I’m ready to go! So what’s the 30 Day dōTERRA Cleanse you ask and why did I choose it if I’ve tried others in the past? With other cleanses I’ve done there have been starvation days (although they don’t call them that) where I can only drink the liquids the company provides. There are also meal replacements in the form of smoothies or shakes. These aren’t what I’m looking for right now; I am looking to cleanse out my gut (and the rest of my body) and begin a relationship with nutrition that’s sustainable long-term. There are vitamins, oils and supplements I’ll be taking each day…they can be purchased separately or in the dōTERRA Cleanse and Restore Kit. These are the foundation of the cleanse; they work with the body to maximize the health and efficiency of your vital cleansing organs so that you can minimize toxic load naturally and maintain the results long-term. You can read about each of the products in the Detoxification and Cleansing article on the dōTERRA blog. WHEN YOU’RE BEGINNING WITH ESSENTIAL OILS, IT’S HELPFUL TO HAVE SOMEONE COACHING YOU IMMEDIATELY. IF YOU CHOOSE TO PURCHASE SOME DOTERRA PRODUCTS THROUGH ME, I OFFER FREE WELLNESS COACHING! TO RECEIVE THIS, PLEASE SEND ME AN EMAIL AT SOBERJULIE@GMAIL.COM OR CLICK THE LINK IN THE IMAGE BELOW. This cleanse can be done many ways but ultimately the more nutritious, clean foods you choose the better the results will be. I have some dear friends who go entirely vegan for the cleanse and their results are stellar but this girl is a meat eater and I am choosing to include some meats. I am having a palm-sized piece of lean protein for dinners and eggs will be on my plate! That’s the basics of the 30 Day dōTERRA Cleanse and Restore, I look forward to updating you next week to tell you how I’m doing. If you’re interested in the cleanse or would like more information feel free to email me at soberjulie@gmail.com or head to my dōTERRA website directly. 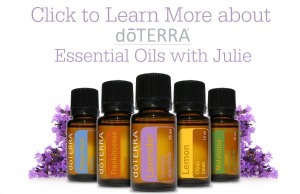 I have lots of info under the pulldown at the top of my site which is titled “Essential Oils” as well. Getting the 30 Day dōTERRA Cleanse and Restore is simple, you need a membership and you sign up by clicking the button below. I have the cleanse and restore kit and am anxious to begin! I have never done a cleanse before and will follow the above instructions. 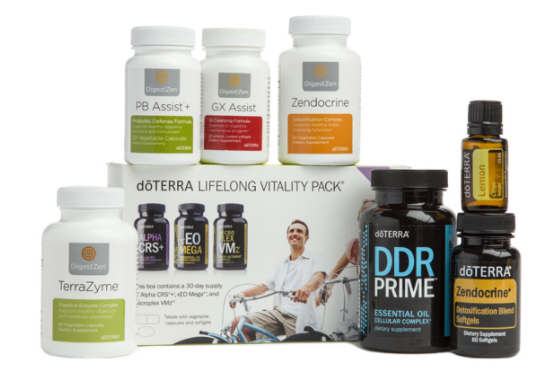 I will also take the Lifelong Vitality Pack supplements in addition to the cleanse supplements. On Guard softgels were included as well. Do I take them with the Lifelong Vitality Pack or wait until cleanse is completed? Is the On Guard something to be taken periodically? Any suggestions will help! Thank you! just to ask, I’m wondering why doterra don’t add an instructional leaflet with the kit when you buy it, I got mine two days ago and can’t start because I can’t find the best way to do it. doTERRA does have instructions for individual products. When you purchase with doTERRA you should have a Wellness Advocate like myself who is coaching you. REach out to the person who helped you to purchase, they will have loads of info and want to share it with you. You should have received a book from dōTERRA in the bottom of your cleanse kit. If you turn to the back page of the booklet it shares more details with you. You can also click on the “more information” link under the cleanse kit on the dōTERRA website. I hope this helps and good luck on your cleanse.